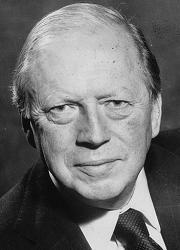 Below is the text of the speech made by Airey Neave in the House of Commons on 22 January 1973. I beg to move, That this House takes note of the First, Second, Third and Fourth Reports from the Select Committee on Science and Technology in the last Session of Parliament and of the relevant Government Observations (Command Paper Nos. 5176 and 5177). I should like to thank my right hon. Friend the Leader of the House for finding time for this debate today because the Select Committee, of which I am Chairman, heard evidence over a long period and worked very hard to produce these four reports. I thank also all my colleagues for the part that they played. I shall refer to some of them individually in a moment, and I regret that some of them are prevented from taking part in this debate. It is an important precedent that we are debating these reports within a reasonable period after their publication. The last occasion on which I took part in a debate on a report from a Select Committee—it was on defence research—was two-and-a-half years after the event, and on that account all of us have found it rather difficult to make our speeches. This inquiry into research and development began a long time ago with the evidence of my right hon. Friend the Secretary of State for Education and Science—whom I am glad to see in her place—in May 1971 and the then Under-Secretary of State for Trade and Industry, my hon. Friend the Member for Eastleigh (Mr. David Price). The evidence, which we took over a period, lasted until May 1972. Altogether we published six reports on research and development—four in the last Session, which are the subject of this motion, while the other two, which were published in 1971, are history. Besides thanking my colleagues, I should like to thank the witnesses for all the information that they provided to the Select Committee. I do not think that all of them enjoyed the experience. Indeed, judging from the debate in another place, they certainly did not, because there I was described by a noble earl as a modern Torquemada, and there have been references to the Nuremburg Trial. But I assure the House that we are as courteous as possible to our witnesses and that we do not employ the methods employed at Nuremburg. I should like also to take this opportunity of thanking the two Clerks who had to work very hard over a long period of fairly intensive investigations into this wide-ranging subject of research and development. At the same time as the Committee was studying the subject of the reports being debated today it was studying the computer industry and the prospects for the nuclear industry, and this it will continue to do in this Session. I should like in this connection to accord particular thanks to the hon. Member for Bristol, Central (Mr. Palmer), my predecessor, who laid the foundations for what I think has been the success of this Select Committee, as he was the first Chairman when it began in 1967. The House will be sad today not to see in his place my hon. Friend the Member for the Isle of Ely (Sir H. Legge-Bourke). There has been good news of his progress, and I saw him last week. He is held in great affection by both sides of the House, and his views are respected. I have consulted him about the Government’s observations on our four reports. He agrees with a number of the things that I am going to say, and I wish to put his point of view on a number of matters. In particular, he profoundly disagrees with the Government’s decision on the Nature Conservancy. He regards it as an extraordinary decision. Like the hon. Member for Bristol, Central, my hon. Friend was a founder member of the Select Committee. This Committee has a number of purposes to which I should like to refer shortly before I deal with the reports and the Government’s observations. First, it seeks to form non-scientific judgments based on the best evidence, which it hears in public, and to provide information to Parliament and to the public and, above all, a dialogue with the Government on scientific subjects. On research and development we sought also—perhaps for the first time in this form—to give an opportunity to all scientists and research workers to state their views on the proposals put forward in the Green Paper by the Government and by Lord Rothschild on their behalf. There was a great deal of hard work in this, and I should like to thank all concerned for what they did. The first thing that we tried to do when we began in January 1972—exactly a year ago—was to discover what processes of thought lay behind the Green Paper. Cmnd. 4814, “Framework for Government Research and Development”, published in November, 1971, and generally known as the Rothschild Report. It also contained a report by Sir Frederick Dainton. The debate at that time, both in the columns of The Times and in scientific newspapers, surrounded the research councils, but we in the Select Committee decided to widen our inquiry to include Government policy for research and development as a whole, and in view of what has been said about the correct interpretation of Lord Rothschild’s report I believe that to have been the right decision. Our comments in these four reports, and particularly on Lord Rothschild’s method of inquiry and the Government’s attitude to the Rothschild Report, are outspoken—I do not think that anybody would deny that—and our recommendations cause some controversy. No one on the Select Committee would suppose that we always ask the right questions, and we often receive some curious answers, but it has to be remembered that our proceedings are the proceedings of the House. They are the proceedings of Parliament. Our reports are the property of Parliament, and in July 1972 we were obliged to remind Ministers and civil servants in no uncertain fashion that these are reports to Parliament and that Ministers and the Civil Service are responsible to Parliament. It could not for one moment be suggested that we are always in conflict with the Executive. We seek to provide a dialogue on scientific and technological matters. For this reason it would be best if I were to start with our second and third reports and the Government’s observations in their White Paper at December 1972, Cmnd. 5176. I should like, first, to thank my hon. Friend the Minister for Aerospace and Shipping and my right hon. Friend the Secretary of State for Trade and Industry for setting out their answers to our recommendations in a lucid form which is easy to follow. In future it will be useful to have an index setting out these observations. I have had letters from scientific librarians asking the Select Committee to consider making an index for its own reports, which such libraries would find useful. I hope that we shall also manage to abolish the traditional method of including minutes of proceedings in our published reports. Such minutes bear no relevance to the evidence that has been taken and upon which we are reporting. The Press, especially the New Scientist, has often drawn our attention to that matter in our news conferences. An index would be useful in both cases. Otherwise the Department of Trade and Industry’s observations in Command 5146 are set out in a helpful way. Members of the Select Committee will be glad to hear that the Government agreed with their views on the non-nuclear work by the Atomic Energy Authority. We are glad to hear that there will be an increasing amount of that work on a non-nuclear basis and that it will appear in future on a Vote. That was the main recommendation of the Committee. There was another recommendation to which the hon. Member for Bristol, Central will no doubt wish to refer. The hon. Gentleman was the Chairman of the Sub-Committee which considered that matter—namely, the establishment of an industrial advisory committee. I am not clear why the Government have rejected the Committee’s recommendation, which I consider useful. Harwell, which is in my constituency, was the centre of these considerations. I was glad that the Select Committee firmly rejected the view that we can dispense with Government research centres of that importance. Indeed, it firmly rejected the glib and uninformed view that appeared in some quarters that industry can do all its own research. That is completely untrue in any industrialised European country. It was untrue when these observations were made, some two or three years ago. A programme of Government research and development will have to be maintained by the United Kingdom if it is to remain competitive in the next 25 years. That is one of the main themes behind some of the recommendations of the Select Committee. Paragraphs 11 to 24 of the observations of the Minister for Aerospace and Shipping seek to answer the Committee’s point that industrial research establishments of his own Department—for example, the NPL, the NEL and Warren Spring—should exploit their services and be more competitive and independent. That was the view of the Select Committee. The White Paper describes the way in which the establishments should transfer their technology in what I should describe as a useful but rather tame way. I do not find the description to be invigorating. For example, it is suggested that their work could be done through publication, personal contact and advisory and consultancy services. I should like to see the laboratories much more enterprising than they are now. Why should they not do some hard selling? Why should they not put full-page advertisements in the Financial Times telling industry what they can offer? That gap between industry and the establishments worried the Committee a great deal. We are told that it will be reformed by the departmental requirement boards. The requirements boards constitute a radical change in the Department of Trade and Industry. The Select Committee will want to watch their progress. Several other Select Committees of this House are involved in their possible reports and activities. I should like to know how the requirements boards will report to Parliament. Will copies be sent to the Select Committees? The Select Committee on Science and Technology, as the House will be aware, has been concerned about unnecessary secrecy and publicity regarding research and development. The Committee, if I may say so, did a good service in 1972 in bringing to light some unnecessary secrecy in Government Departments regarding the publication of reports that can and should be used by Select Committees, and that should be considered by hon. Members, the public and those interested in industry and science. Publication of reports commissioned by the Government was recently highlighted by a special report which the Sub-Committee made in December 1972 when it published the Docksey Report on intervention as an appendix. It arose during the course of taking evidence on research and development—the evidence of my right hon. Friend who was then the Secretary of State for Trade and Industry. The failure to publish the Docksey Report is relevant to the recommendations which the Committee made in its First and Fourth reports. I have said on several occasions that I condemn the practice of unnecessary secrecy in Government Departments. I especially condemn it in research and development, which merits the widest communication and dissemination of Government policy. The Docksey Report raises particularly important matters which should have been the subject of a separate debate. It raises issues of great constitutional moment in the Special Report. The Committee said that Select Committees of this House should be given reports unless there were unusual and compelling reasons, such as confidentiality in the commercial sense, and security. At no time has it wished to impair the need for Ministers to receive confidential advice. It would be absurd to do so. There must be occasions when Ministers commission reports which must remain confidential. However, I feel that the issue should be developed further on another occasion. Therefore, I welcome the Government’s statement in the July 1972 White Paper. Although that is not the subject of the debate, I consider that it should take a part in the discussion. In Cmnd. 5046, the White Paper “Framework for Government Research and Development”, the Government say that they agree, at paragraph 11 that …at present neither Parliament nor the public is given sufficient information about departmental research and development programmes. That was the view of the Select Committee over a long period. I am glad that the Government put that into their first White Paper, Cmnd. 5046, in July 1972. The method of inquiry which they adopted in 1971 into research and development and into its organisation will, I sincerely hope, not be followed in future. The Committee deplore the way in which discussion on the Green Paper, which contained the famous Rothschild Report, was impaired and prejudiced by a Government statement of policy in advance. The Government wrote a preface to the Green Paper saying that they endorsed the customer-contractor principle without giving any reasons. I do not want to go over that ground again. I hope that the Government will not follow that practice in future. The Government, in reply to our First and Fourth Reports, at paragraph 3, Command 5177, state the rather curious principle that some Green Papers are greener than others. This one was said in some circles to have had a white border when it was first introduced. Hon. Members will understand what that meant. The Government stated that they endorsed the principle which we were supposed to be discussing and on which they had promised consultation. However, my colleagues and I take the view that the Government should not promise consultation and then rule out discussion by their preface to the Green Paper. That is one reason why the Select Committee decided to carry out an inquiry over a considerable period, namely a year, and to hold it in public. That was why we undertook to do that in addition to the duty which had been laid upon us to provide the Government with information and to give scientists, research workers and people in the centres the opportunity to state their views. The White Paper, “Framework to Government Research and Development”, published in July 1972, as Command 5046, which purported to be the Government’s decisions on the Green Paper, ignored the Select Committee’s recommendations. I do not wish to go over this unfortunate affair for too long. The situation was only saved by the Lord Privy Seal appearing again before the Select Committee to announce that answers would be given in full—and indeed they have been. We certainly do not complain that they have not been given in full, and we are grateful for them, not that one accepts all the statements which have been made, but at least the dialogue is taking place, and this in itself is very considerable progress and a great asset to the understanding of science and technology in this House. I now turn to the White Paper, Command 5177, containing the Government’s observations on the First and Fourth Reports of the Select Committee. Again I thank my right hon. Friend the Leader of the House for the way in which the White Paper was prepared, particularly for the index. A combination of both White Papers with an index would be the best way, setting out the recommendations first and then the answers, as was done by the Department of Trade and Industry. I suggest that this could also have been done in the White Paper Command 5177. The First and Fourth Reports of the Select Committee were controversial. So, too, to a certain extent, as my right hon. Friend will agree, are the Government’s observations. They reveal a substantial difference of opinion between the Committee and the Government as to what organisation, ministerially and otherwise, and what policies there should be in the coming years for research and development, especially Government research and development. The Select Committee was looking to the future and saw the need for coordination of research and development under a Minister. The Government, on the other hand, appear from their observations to prefer their own existing organisation. This is an important subject for debate because it has tremendous implications for the future, but before I launch into it I should refer to a number of answers to our recommendations on other questions. The first of these concerns research councils. Again I do not want to go over the battle of the winter of 1971–72, which took place in the columns of The Times and in other places. It was very interesting but not always entirely conclusive. I refer now to paragraph 24 of the White Paper containing the Government’s observations on the first and fourth reports. My hon. Friend the Member for the Isle of Ely, with whom I spoke last week, is very displeased indeed at the decision to abolish the Nature Conservancy Committee of the Natural Environment Research Council and to establish a new Conservancy Council. Like me, he thinks this decision very extraordinary. I hope that note will be taken of what I am saying. Two or three years ago the Select Committee—the hon. Member for Bristol, Central will recall the exact date—recommended that research and conservancy should stay together. But here we have a situation now in which the Nature Conservancy is to be separated from its supporting laboratories. I do not understand the reasons for this decision. I hope that it is not true that the chief officials of the two bodies have fallen out, if that has anything to do with it. There are rumours. I hope that this matter will be taken up during the debate and that the recommendations of my hon. Friend the Member for the Isle of Ely, which were, of course, the recommendations of the whole Committee at the time, will be seriously considered. I turn now to the famous Table 4 of the Rothschild Report. This concerns paragraphs 27 and 28 of the White Paper. We were not able to discover what Table 4 really meant—certainly I did not. How far has implementation actually gone? What will be the final amount transferred from the Vote of the Secretary of State for Education and Science? We were not able to find out the arithmetic on which the figures were based. We interviewed a large number of witnesses but they managed to avoid telling us. I wonder whether this was a divine inspiration of Lord Rothschild or whether there really was something behind it on which the figures were based. I do not intend to revise the narrow battleground of last winter, when Lord Rothschild defended his position against the scientific world and did so very ably. The Select Committee would like to thank him for his assistance in coming and giving evidence. But we should ask a few questions about this subject, which is all-important in relation to future policies. Paragraph 29 of the White Paper refers to the Advisory Board for the Research Councils. What will this board do? I have never been in favour of a board for research councils, because if the research councils are to be strengthened, as indicated in the White Paper, as a result of the recommendations of the Select Committee, and if they are to do their job properly, why do we need an advisory board for them? I hope that my right hon. Friend will look at this point. Paragraph 33 of the White Paper refers to the reports of the research councils. We look forward with anticipation to these reports in their new form and hope that they will be more informative than in the past. I turn now to the Fulton Report. The Select Committee had a good deal to say about the future of scientists and the need for greater interchange of scientific talents. The White Paper “Framework for Research and Development”, Cmnd. 5046, refers in paragraph 39 to a small high-level task force which has been set up for this purpose and to investigate how it can best be carried out between industry and the research establishments. Will the report be published? We shall press strongly for publication because this is one issue about which the staff of these establishments and industry are most concerned. There is every need for the report to see the light of day and, if necessary, to be discussed in this House. The White Paper containing the Government’s observations on the First and Fourth Reports deals with the future reporting of research and development to Parliament in paragraphs 40 to 46. It is suggested in the White Paper that the Departments should lump their reports together—into one consolidated report, I suppose; at least that is how I read those paragraphs. I hope that this decision will be looked at again. The reports should be separate documents. The Departments should not mix their reports with others. With the number of reports we have to read during our investigations, whether as members of the Select Committee or otherwise, we often find it intolerably difficult to trace them all. Will all these reports be laid before Parliament? We recommended that they should all be laid before Parliament in the future. Finally, I turn to the question of reporting Government programmes to the House, to which I attach great importance in the interests of scientists and research workers all over the country. They study what we say here with great concern and interest. Paragraph 41 of the White Paper refers to a five-year rolling programme. The Confederation of British Industry, in its evidence to the Select Committee, recommended the system of five-year forecasting. We adopted that recommendation, suggesting a five-year rolling programme of research and development expenditure, and said that it should be published. The Government say in the White Paper that flexibility is required and that they do not want to lay down a hard and fast rule. But surely a five-year rolling programme is a flexible instrument, which is why we recommended it. I suggest that we should adopt this system and publish the programme. I was also glad to see that the Government propose a wide interpretation of the customer-contractor principle. This, I think, we wish to see. We were not sure how it would apply to the research councils, and even now we are not sure how it will be done. We do not want to see bureaucratic control creeping towards the system of research in this country beyond what is absolutely necessary for accountability, especially parliamentary accountability. We do not want to see the customer-contractor principle doing any injury to, above all, university research. Those are my views on those aspects of the White Papers, and I now come to what I regard as the really important issue—the organisation of Government policy for research and development in the future as expressed in the Select Committee Reports. I have already said that big research and development programmes will be needed by all advanced European industrial countries for competing in world markets in the next generation, and it is the long-term interests that the Select Committee had in mind. Similar discussions to the one which I am initiating today, resembling the dialogue between the Committee and Her Majesty’s Government, are taking place in Europe and, indeed, in all advanced industrial countries. Paragraph 17 of the White Paper agrees that the European Economic Community is seeking a comprehensive Community policy on scientific research and technoogical development. The Council of Europe discussed this matter last year, as those who read the report of its Science Committee will see, and it has taken the view that all industrialised nations should recognise the need to expand research in the interests of social progress and the development of technologies for economic needs. We are in the same position. The whole discussion about whether we should have a Minister for Research and Development, supported by a Council for Science and Technology, as advocated by the Select Committee, must be considered in that context. If the Government agree that there has to be a Community policy for research and development, surely they also have to consider having a national policy themselves, which at present they do not appear to have? Surely they will ultimately need a Minister and an advisory council to initiate that policy? I put these points to my right hon. Friend in the knowledge that we cannot resolve all of them today; it is a long-term matter, but it is extremely important. In their three White Papers the Government have replied that their system is based on the functional responsibilities of Departments, that research and development is a departmental matter, that they do not look at it as an entity or as a national matter, and that they are satisfied, apparently, with the existing machinery. This is certainly not the view of the Select Committee, and it puts its case, as I think hon. Members will agree, pretty sharply. Elsewhere in Europe we found the same doubts being raised as were raised by the Committee. In the German Federal Republic, the Federal Minister for Education and Science has recently drawn attention to the need for co-ordination of the main areas of research, and the German policy documents view research policy as part of their overall policy. For example, in Germany a Research Policy Advisory Committee similar to the Council advocated by the Select Committee—the Committee had Europe in mind when it made this recommendation—is presided over by the Minister I mentioned, in the same way as the Select Committee advocated that a Minister for Research and Development in this country should be Chairman of a Council for Science and Technology. In Belgium a Minister Without Portfolio is responsible—this is important because these other countries are moving in the same direction as that advocated by the Select Committee—for co-ordinating the activities of departments involved in science policy. I do not suggest that we should slavishly follow the system in other countries or that the circumstances are identical. I am merely saying that if we are to be a competing nation in the next 25 years, we shall have bigger and more important national and international research programmes which cannot be effectively carried out without the proper mechanism and machinery. In France there is a Minister of Industrial and Scientific Development. This is interesting, because he is the head of an inter-departmental committee for scientific and technical research and also chairman of an advisory committee for scientific and technical research. In some ways this approximates to the idea of a central council with the Minister as chairman which the Select Committee has put forward. If there were a Cabinet Committee in this country, whether on research or on science, it would be advised by a central council such as we suggest. I do not expect all these matters to be adopted immediately, but they are relevant, and they are becoming more and more important as time goes on. In Italy the lack of machinery for implementing scientific policy, which has caused a great crisis in Italian science, is likely to lead to a Ministry of Scientific and Technical Research. Finally, in the Netherlands a Minister of Science and Higher Education was appointed last year with a science council. So the pattern is there in Europe, and it is very similar to that recommended by the Select Committee subject, of course, to the objection that the Government of this country are at present making, that it would upset their existing arrangements. But the Committee had the EEC in mind when it made the recommendations for a Minister to “examine and approve” all Government research and development, to co-ordinate Government programmes and to be Chairman of a Council for Science and Technology. Clearly, that is not a new idea. In their reply the Government have relied on their existing set-up, which we found—we put our reasons clearly in our report—to be inadequate in a fast-changing world. We also found the absence of a strong and independent scientific voice at Cabinet level, and we felt that it could be provided only by a Minister. The Committee viewed the function of such a Council for Science and Technology as a scientific “look-out” or watchdog, with the Minister to co-ordinate and examine departmental programmes. We found as a fact—the Government agree, to judge by their replies—that no one really performs this function. The Government say in paragraph 10 of the White Paper that a central advisory function is performed none the less, by the Chief Scientific Adviser, with the Lord Privyl Seal to co-ordinate policy on research and development issues. But is that a correct description? I do not believe that it is a sound answer to what we have recommended. Has that particular Minister really the time to do this job, having regard to the increasing size and complexity of research and development problems? The Government’s reply also strains at a gnat in describing how the Minister and the Council would work in practice. They choose the example of road research, saying that if there were a Minister to “examine and approve” the relative effort between road and transport research, it might involve some interference with the way in which the Department of the Environment spends its money on research. Why not? The Government’s function should be to have an overall policy on research, and someone should be given the job of deciding those priorities. The whole question I am raising today is whether functional responsibility is all that counts in this matter and whether there are not very much wider issues at stake, as I believe there are. Do the Government make any estimates of the future size and allocation of research and development resources on a national basis? I do not think that the issue of a separate Vote for the proposed Minister which they raise is anything more than a red herring. We do not treat that very seriously. We wanted to give the Minister concerned a secretariat of about 50 and give him a Vote for that reason. We turned our attention a good deal to the national objectives in science and technology. Paragraph 13 of the White Paper shows a curious attitude to the whole problem of long-term research, which some of my hon. Friends and other hon. Members will view with a certain amount of amazement, but this passage appears there: In respect of national objectives the programme of nuclear fusion research at the Culham Laboratory is no way different from that for the construction of a more conventional power station. I wonder who wrote that paragraph. It is a very extraordinary paragraph. One field is, after all, pure research—we have to use the phrase “pure research” now, according to Lord Rothschild; let us use it for fusion research—and one is engineering. What about the time scale between the two, between fusion research and the construction of a conventional power station? The Government clearly believe that research and development cannot be meaningfully looked at as a whole but that it arises from the objectives and functions of individual Departments. That is where we disagree. I find a weakness in that approach. I am not seeking to criticise the Government, in such an abstruse field, from any other point of view except our disagreement on the basis of our evidence. The weakness of that approach is that in practice science is brought in as an appendage of policy, an ancillary to policy, and not part of policy as a whole such as is found in other countries. The Committee found quite differently about this, that science should be at the centre of the decision-making machinery. That is the difference between us: science should be at the centre of the decision-making machinery. There are one or two other crucial points. A critical gap was that the Committee found that no mechanism existed to keep the Cabinet directly informed of major developments but for the chief scientific adviser. The ability of the present chief scientific adviser is not in doubt and no disrespect is meant to him, nor to the new chief scientists in the Departments who have been appointed since these reports were first made. But the Select Committee does not regard that as sufficient. The Select Committee feels that, however distinguished an official may be in the capacity as chief scientific adviser, the final advice to the Cabinet on major issues of research and development should be made by Ministers. That is the crucial difference of opinion that we had on that point. It is a matter well worthy of full debate. There is a continuing dialogue here and it will have to continue. It is of great interest and value. I have not sought to go over all the ground of these reports, but I hope that during this Session the Government will be ready to have further discussions with the Select Committee on these lines. On 13th July the journal The Engineer said that it was wrong to leave all this responsibility for the allocation of money and the decision on priorities to a chief scientific adviser. I think that The Engineer was absolutely right. It said: It is understandable that people in government service are against the idea of a Minister as the piercing rays of public scrutiny fall on them as well. Perhaps that may be a little uncharitable, but that is the duty of Parliament, and the responsibility of a Minister to Parliament would be a safeguard of great importance. Parliament has to be more involved in research and development in the future if the basis of our industries is to be broadened and they are to be made more effective in the next generation. The Select Committee’s duty is to inform the House and the Government of these problems and to make Ministers accountable. As Dr. Budworth of the CBI said in the New Scientist of 7th December: Decisions of science will in future be taken on the basis of wider considerations than those of science alone. This surely means that the Committee must continue its work in reporting to the House and maintaining its dialogue with the Government.